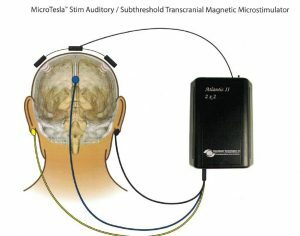 BrainMaster has long been a leader in the use of audiovisual entrainment (AVE) and uses of photic, auditory, vibrotactile, and pulsed electromagnetic (pEMF) stimulation in conjunction with neurofeedback. 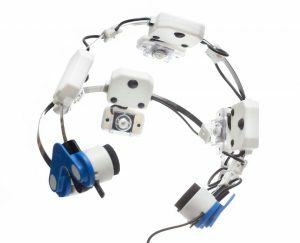 Our systems have provided both "open-loop" fixed as well as scripted variable frequency stimulation, and a variety of EEG-controlled stimulation methods, using both proprietary and generic protocols. BrainMaster is now further extending our work by introducing state-of-the-art technology in conjunction with the Vielight infrared stimulator. This provides programmable as well as EEG-driven IR technology utilizing the Vielight headset. We combine the Vielight Headset with our system which then becomes the controller. The standard Vielight is "just another output device" and is can be used with the BrainMaster system without any changes. This is true for both the headset version and the "nose clip" version of the Vielight. 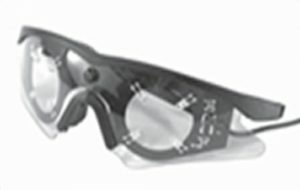 All of the protocols and designs that work with our photic LED glasses, or our MicroTesla, will operate without modification with the Vielight. 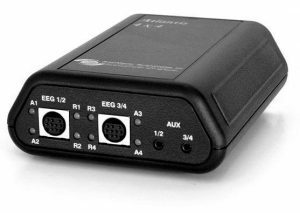 This provides full frequency control along with both open-loop and EEG-driven modes. Uses can include entrainment and disentrainment, as well as advanced dynamic nonlinear approaches. This provides full flexibility of frequency, from below 1Hz to over 400 Hz. Stimulation can be provided at frequency, the Vielight can be used as feedback and pulse at any freq when a condition is met using our unique technology, providing EEG-DRIVEN VIELIGHT exclusive to BrainMaster, . 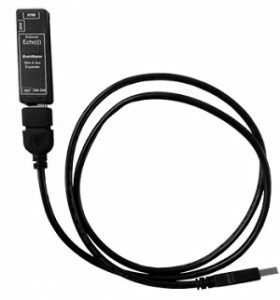 Owners who already have a Vielight and either an Atlantis or Echo need only obtain an adapter cable, and make sure you have the software options you need. If you have a Vielight but do not have BrainMaster equipment, you can acquire an Atlantis or Echo and put your Vielight under BrainMaster software control immediately. 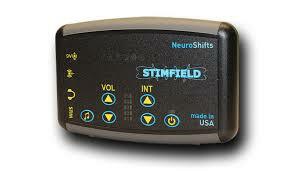 You may also want to look into the StimField controller device. 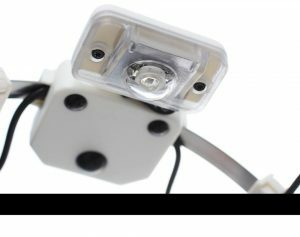 If you have an Atlantis or Echo, but do not own a Vielight, BrainMaster can provide you with a Vielight to use with your BrainMaster equipment and software. Retail $1295 Introductory price = $995 (Vielight headset and Stimflash software) to add to your Atlantis or Discovery/Echo 4.0 BrainAvatar system.